New Haven, CT Bob Horvath, Todd Tremblay and Matthew Nadler of Horvath & Tremblay have completed the sale of a newly constructed Rite Aid and The Learning Experience in New Haven, TD Bank, Longhorn Steakhouse and Chili’s ground lease in Shelton, and Bull Hill Shopping Center in West Haven for a combined sale price of $26.268 million. 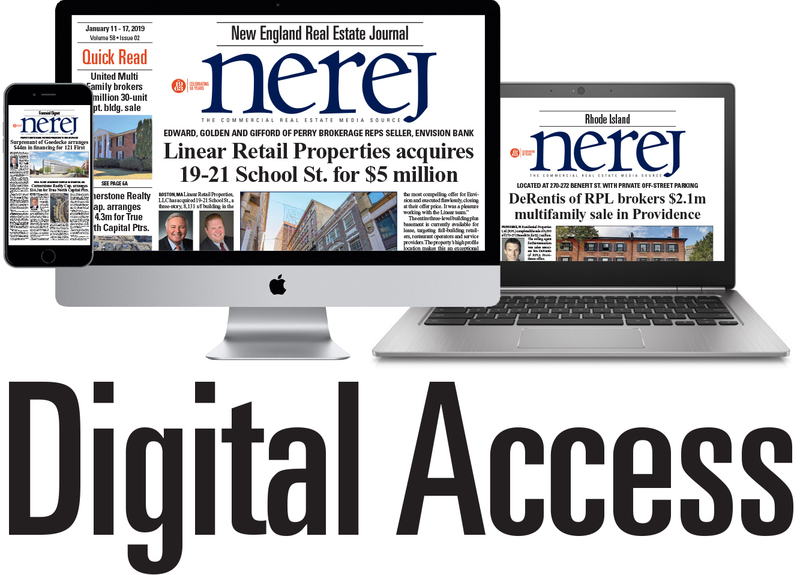 Horvath, Tremblay and Nadler represented the seller of the newly constructed, single-tenant net leased Rite Aid and The Learning Experience properties closing at a sale price of $14.718 million, a 6.92% cap rate. The properties are located on the same parcel located at 249 Legion Ave. and 520 Martin Luther King Blvd. The Rite Aid building was completed in 2016 and has 18 years remaining on the initial lease term plus six 5-year renewal option terms. The Learning Experience operates under a new 15-year lease with two, 5-year renewal options. The property is two blocks west of the Yale-New Haven Hospital and close to Yale University and the central business district. The sale of the TD Bank, Longhorn Steakhouse and Chili’s ground lease closed at a price of $8.8 million, a cap rate of 5.73%. 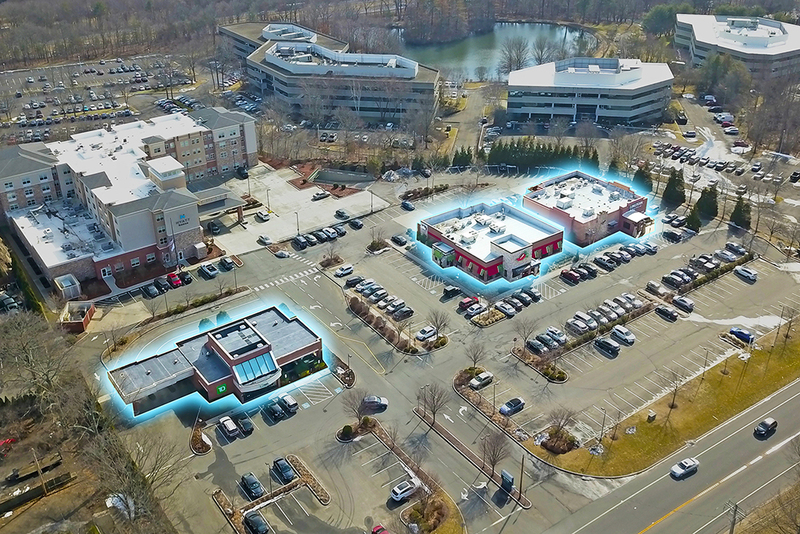 The TD Bank, Chili’s Grill & Bar, and Longhorn ground lease sits on a 3.8-acre parcel located at 820-838 Bridgeport Ave., along a retail, medical office and corporate office corridor in Fairfield County. The property was developed in 2007 and has a history of strong performance. Each ground lease has over nine years of term remaining plus renewal terms, with rent escalations in both the current term and renewal terms. The three stand-alone buildings are in front of the Hyatt House - Shelton, one of many extended stay hotels that cater to the corporate tenants in the area. Corporate tenants include Prudential Financial, CDW, United Healthcare, Robert Half, Barnum Financial Group, Sectra North America, Tetley USA, Baldwin Technology, Black & Decker, BIC Corp., Playtex, Perkin Elmer and Pitney Bowes. 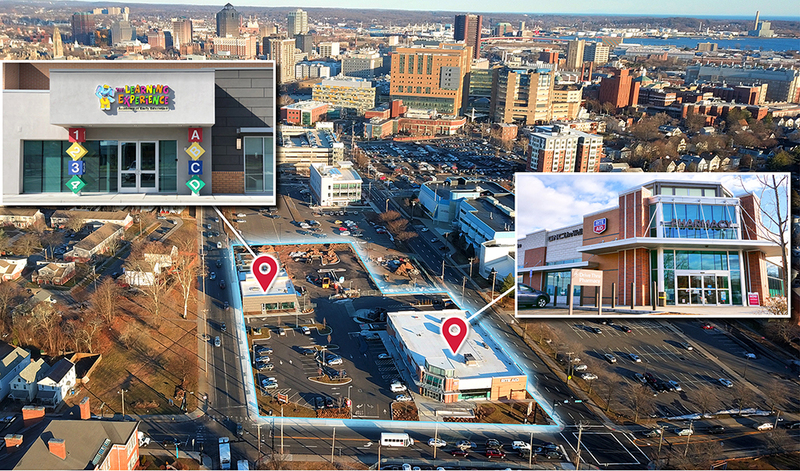 The retail corridor along Bridgeport Ave. also includes a number of notable retailers: Stop & Shop, ShopRite, TJ Maxx, Staples, Bed Bath & Beyond, Walgreens, Panera Bread, Burger King, Bruegger’s Bagels, Five Guys Burgers, Ruby Tuesday, Bertucci’s, Chipotle, and Outback Steakhouse. Bull Hill Shopping Center is a 37,100 s/f retail plaza on a 2.58-acre site. The property is anchored by Tutor Time, who has been located at the property since 1999. Additional tenants include Performance, a Big Bargain Convenience Store and a Super Saver Laundromat. Bull Hill Shopping Center is strategically located to capture local residents and commuters in a retail trade area between I-95 and Rte. 1. The property is adjacent to a ShopRite Supermarket & Fuel Station and across from a Kohl’s department store. Additional retailers in the area include Lowe’s, Target, Walmart, Sam’s Club, ALDI Supermarket, Walgreens, Best Buy, LA Fitness, Staples, PetSmart, Burlington, Baby Depot, K&G Fashion, Dollar Tree, Harbor Freight Tools and Savers. 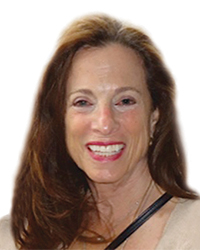 Horvath, Tremblay and Nadler represented the seller and procured the buyer to close the sale for $2.75 million.